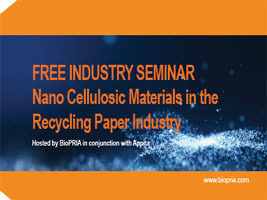 This seminar will summarize the production and characterization of different nano cellulosic materials and their application in the recycling paper industry. The seminar is recommended for researchers and process engineers from industry and academia interested in the applications and possibilities of this renewable nanomaterial. 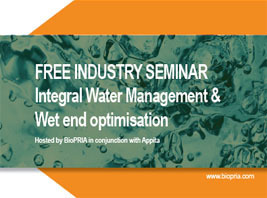 The two part seminar explores Integral Water Management and Wet End Optimisation. The seminar is recommended for anyone working the area of papermaking, such as mill chemical engineers, technical managers, shift managers, machine operators and technical specialists from chemical companies.